Adult coloring books are trending and Shai Coggins is always a trendsetter! So this summer she released Colour Bliss: Kaleidoscopes: Colouring Journal for Fun and Relaxation, a book full of beautiful pictures and designs just waiting for a few colored pencils and markers. But why release one book when you can release two? Coggins also released Today: Life: A Guided Journal on Everyday Moments to awake the journaler in you. Colour Bliss: Kaleidoscopes is a collection of simple, beautiful designs that are inspired by mandalas and images from kaleidoscopes. The designs are a mix of hand-drawn and digital art created by Shai Coggins, all printed only on one side of the book. This book is also a colouring journal that contains ten colour play prompts that share ideas on colour theories and harmonies. There are spaces for colouring explorations and smaller designs to practice on. You can also find a 'notes' section to write down some of your thoughts on colouring and/or your day-to-day life. There are also plenty of blank spaces where you can further play with your colouring sets or journal. 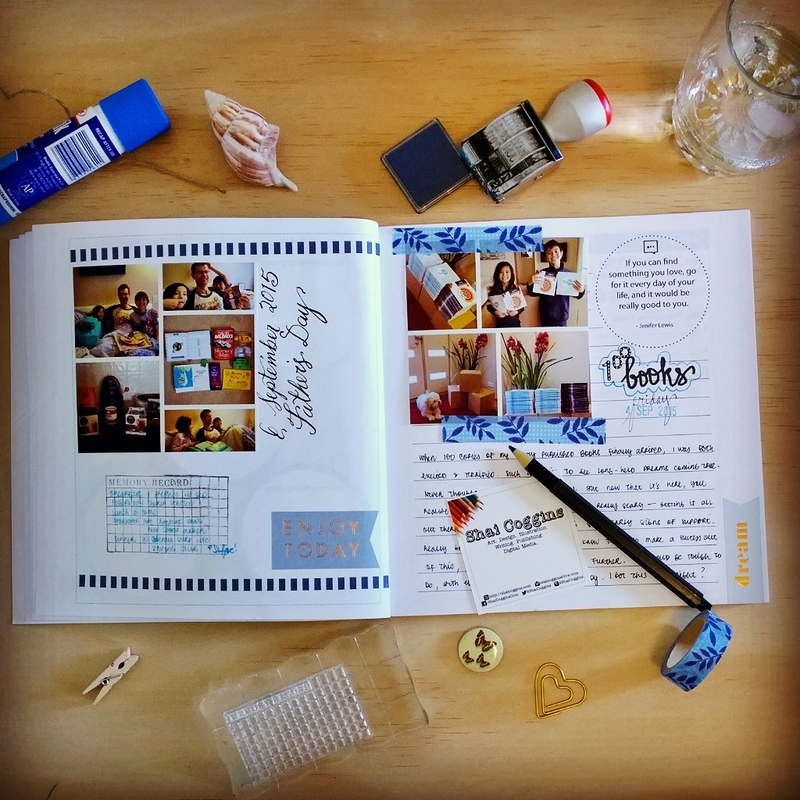 Capturing everyday moments becomes fun and creative with Today guided journals. The pages have sections where you can write, doodle, sketch and/or paste/tape in things that you wish to record from your day. Plus, there are prompts, quotes, and journaling tips to keep you inspired. There are blank and lined pages, as well as journaling spots and areas for you to fill-in or alter. It's a journal that's designed to make it simple to keep your memories treasured forever. You have TWO chances to win today! Use the Rafflecopter form at the bottom of this post to enter to win Colour Bliss or Today: Life guided journal. The giveaway contest closes Wednesday, October 7 at 12:00 AM EST. We will announce the winners the same day in the Rafflecopter widget. Good luck! Shai Coggins is the "mum" of two young kids – a boy (currently aged 10) and a girl (currently aged 7), a wife to her British-Aussie husband and a pal to her cavoodle dog called Blue. Coggins and hubby moved to Australia early in 2003 and they became Australian citizens in 2005. Coggins was originally from the Philippines and hubby was from England. Prior to calling Australia home, they lived in Singapore for a few years (and even got married there in one of two weddings; the other wedding being in Manila). They’ve also travelled to and/or lived in different parts of the USA, Canada, South Africa, France, UK, Belgium, Malaysia, Brunei, Thailand, Dubai, New Zealand, and Australia. Needless to say, they love travel and cultures. And, it looks like they’re raising two travel bugs too. Coggins hold two Masters’ degrees – one in Applied Psychology from National University of Singapore and another in Teaching from Flinders University, Australia. She also holds a four-year Bachelor of Science degree in Psychology from University of St Thomas, Manila. Although she's practiced psychology and teaching in the Philippines and Singapore, Coggins has only really done supervised psychology practice and teaching in Australia. Her growing practice and business in communications and media helped her to decide to leave psychology and teaching as professional practices at this point of her life. 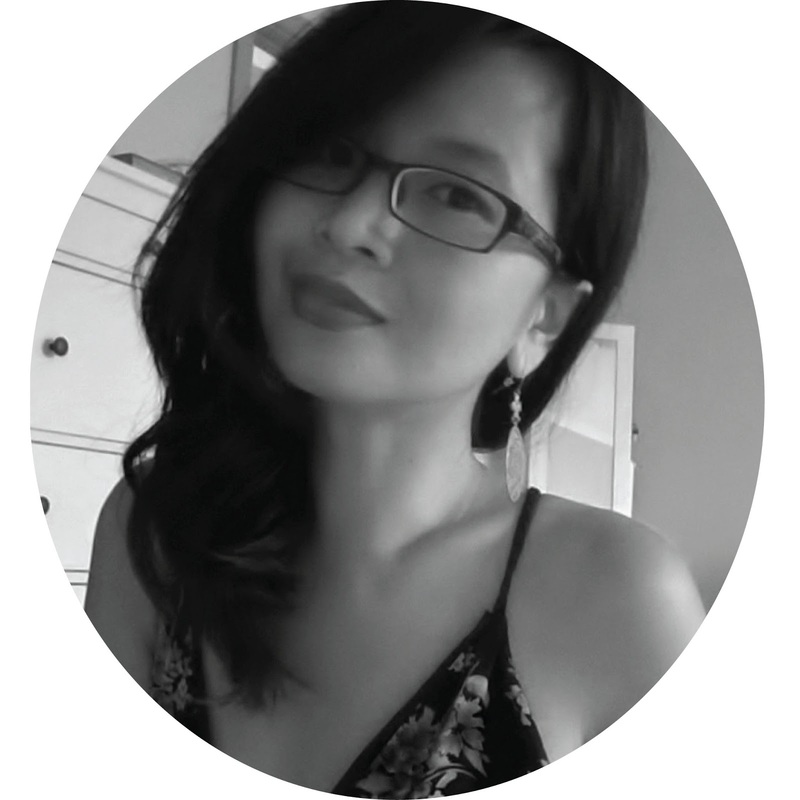 She still loves both psychology and teaching and believes that these disciplines help her to do digital media and communications with a difference. Apart from family life, work, and travels, Coggins enjoys pursuing several personal projects and interests such as reading, movies, TV, music, crafts, food, writing, and art. Her favourite creative pursuits include painting, mixed media, sketching, journalling, novel writing, scriptwriting, filmmaking, photography, and bento lunchbox making. She is also known to love shoes, chocolates, and gadgets! Visit her website at www.shaicoggins.com. WOW: Recently you've published two books: Today: Life Guided Journal and Colour Bliss: Kaleidoscope. Do you think your adult coloring book will appeal to journalers and your journal book will appeal to adult colors? Why? Shai: There are definitely cross-overs! Both books are created as a way to take a break from our digital lives for a short time - either through journaling or through colouring. And, while the journal is created as a book to write in primarily, I've also been encouraging people to be more creative with their journal-keeping. And, I've designed #ColourBliss in such a way that it's not just a colouring book, but also partly a journal. I know some people have bought both #JournalingToday (the guided journal) and #ColourBliss (colouring book for adults). WOW: Tell us about your first experience with journaling. Is it difficult to make journaling a daily part of your life? Shai: When I was about 10 years old, I found my late dad's old discarded day planner. It had a hardbound faux leather cover with thin, gold-edged paper. It had the dates from the previous year, but it was empty. So, I decided to start writing some of my thoughts and experiences in it. I fell instantly in love with writing in that book! But, I ended up stopping due to some personal issues at the time. I never stopped journaling, though. I always found a way to keep a journal. Although there are weeks when I do end up journaling daily, I don't always write in my journals every day. With work, family, and other commitments, it's not easy to keep up with a daily journaling schedule. So, I don't pressure myself to do it every day, all year round. That's also partly why Today: Life guided journal doesn't have printed dates in them. I encourage people to record their everyday moments, but it doesn't necessarily have to be done every single day. WOW: Who do you think would enjoy journaling? Is it just for writers? What can we gain from journaling? Shai: Writers definitely benefit a lot from journaling. But, even those who don't consider themselves 'writers' can still get a lot of benefit from journaling. Memory keeping is just one of the things we can gain from journaling. But, we get so much more than that. With my background in psychology, I know that there are a number of studies and articles showing journaling's benefits - from stress reduction and coping with loss and grief to developing learning and productivity. WOW: How does Today: Life guided journal make journaling more fun? What is your favorite aspect of Today: Life guided journal? 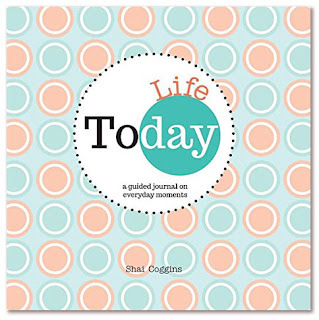 Shai: Today: Life guided journal makes journaling more fun through its general approach to keeping journals. It has some templates to fill in, which is great for times when we're stuck on what we want to write about. It also contains prompts, tips, and inspirational quotes to give journal keepers different ideas on how to journal. I know that even as a long-time journal-keeper, I still find myself overwhelmed when faced with a completely blank journal. So, having something like Today: Life guided journal helps to keep that feeling of overwhelm at bay. But, at the same time, there are enough blank spaces, so that we can fill those in when we want to write about something a little bit more. I think my favourite aspect of Today: Life guided journal is its flexibility to follow a set template and journaling prompts/ideas or, to completely do our own thing and alter the journal the way we like it. I have even been creating free printables for the journal that are available at Paper Boat Publishing . 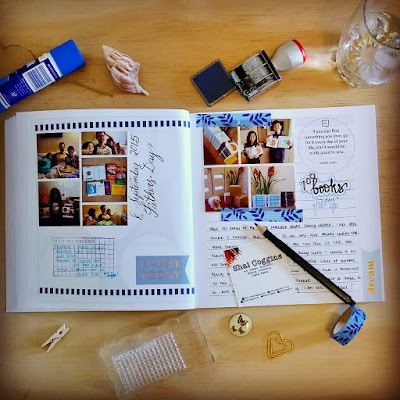 WOW: Why did you decide to create a journaling book? What makes Today: Life guided journal different? Shai: I have always fancied the idea of creating a guided journal. Even back when I used to maintain a writer's website (which is barely kept now), I would send out newsletters and create blog posts that contained writing and journaling prompts. I loved doing them and I used to get some really great feedback about them. So, I've often wondered what it would be like to make those prompts into a book. This is the first iteration of that dream. I think what makes Today: Life guided journal different is that it's simple and flexible enough that it won't feel like you're doing a workbook. I know and love so many different guided journals out there. But, I must admit that I don't always get to use and finish them because I end up feeling overwhelmed. As though I'm simply following the journal designers' vision of how I should journal. They fit a certain need. But, they don't always suit my needs as a journal keeper. I've always wanted something that's not quite a blank journal - but also not overly guided. That's why when I thought about Today: Life as a guided journal, I knew I wanted it to be designed in such a way that it can be altered and used in different ways, depending on how it would suit the journal-keeper. So, even though I've created and designed the book, I've envisioned it to be the journal keepers' book by the end of it. WOW: At first I didn't understand the adult coloring book trend. But the more I look at them the more I feel they would be perfect for people like a friend of mine who is very anxious. She finds knitting calming and I have a feeling an adult coloring book would accomplish the same thing for her. How did you stumble on to the adult coloring trend? Why do you think adult coloring books have become so popular? Shai: You definitely captured one of the reasons colouring for adults became popular. From my research, this trend actually stemmed from the recommendations of art/occupational/creative therapists and other mental health professionals. It is believed that colouring helps people deal with stress, anxiety, and other related issues. But, it's not a new thing. Many reports share that renowned psychologist Carl Jung (1875-1961) prescribed colouring to his patients, as a way to deal with anxiety. And, when I was practicing as a psychologist, I've also explored the whole drawing/colouring/journaling as therapy concept with people I worked with. 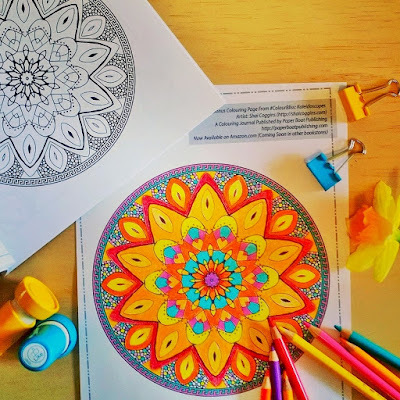 I also know that many people have come out admitting they've never really stopped colouring for fun and relaxation, even before adult colouring became trendy. I, myself, have always kept a colouring book or two, for days when I wish to do something creative but don't feel like doing something more involved like painting, sketching, or drawing. I think the idea has caught on because we are all looking for different ways to cope with our day-to-day lives. And, people deal with it in different ways. Some people take breaks or use their 'down time' by drinking/eating, watching TV/movies, and/or getting massages/manicures. Colouring has now become one of those choices! Also, with our exposure to all things digital, people are looking for ways to break away from screen time and find ways to express creativity in non-threatening ways. Colouring fits the bill. And, with colouring book artists coming up with designs that suit the grown-up aesthetic, it inspires more and more people to try this hobby. WOW: How did you create your book? Are you an artist? Are they hand drawn? Did you use a computer program? Shai: I'm primarily a digital media professional, managing my boutique agency, Vervely, offering social media, web content, and online community services to different organisations worldwide. But, I'm also a practicing artist who's part of a local art studio here in South Australia, where I attend painting sessions and teach art part-time when I have the time. I paint in oils and acrylics, but also love sketching, drawing and mixed media. Some time last year, I attended an online workshop on how to turn my hand drawn art into digital. It was a great way to put together my combined love for digital and analogue. I've been practicing and learning all I can since then. Little did I know that all the skills I've been accumulating over the years - psychology, teaching, writing, art, digital - would all be useful when it came to fulfilling my lifelong dream of creating books. Anyway, my colouring book is a mix of hand-drawn and digital art. I've started off with some hand-drawn designs that I scanned into my computer. Then, I've tweaked the designs using various computer programs and smoothed out some of the design elements. But, I wanted to maintain the hand-drawn feel and the designs to express my personal aesthetic. WOW: What is your favorite tool for adult coloring--markers, colored pencils, chalk? Shai: I've tried every single type of colouring tool that I can get my hands on, and I must admit: My absolute favourite tools are still my colour pencils. Different tools are good for different designs and really, it's all a matter of personal choice. And, I always encourage people to try different tools to find the ones that they love best. I know I still pick up markers, fineliners, pastels, gel pens, and other colouring tools when I find designs that call for those other tools. But, for the most part, I reach out for my colour pencils the most. WOW: How long does it take to complete a page? Shai: Oooh… To colour? I don't think there's a straightforward answer to this one. It really depends on a lot of different things, including how detailed the designs might be and the colouring style. For simple designs that only utilise basic colouring, it can be finished in 30 minutes or less. For more complicated designs and advanced colouring techniques, some pages can take hours to complete. WOW: Why do you love adult coloring books? Shai: Ah, how can I summarise everything that I love about colouring books for adults? Apart from the reported health benefits, I'm really all for encouraging more creativity in the world. I believe that people who find time for creativity become happier, healthier individuals. I know colouring is not THE answer to health and happiness. But, it's certainly proving to be one of the things that many people are finding to be beneficial in our society. That's why I'm very much on board with this trend. WOW: What will be next for you? But, on the writing/book creating/publishing side of things, there are definitely a few projects in the pipeline. I'm currently designing more journals, colouring books, workbooks, business books, and ebooks. And possibly, a line for kids and pre-teens. No target release dates yet, though. But, if you're keen to hear of updates, I'd love for you to connect with me through my personal blog, Twitter @shaicoggins and Instagram. We have two fantastic books to give away from Shai Coggins! 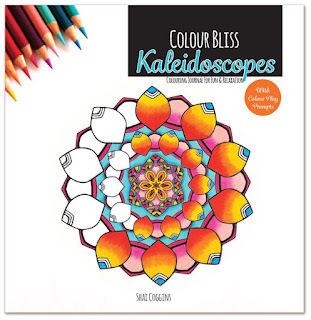 Enter to win Colour Bliss: Kaleidoscopes: Colouring Journal for Fun and Relaxation and Today: Life: A Guided Journal on Everyday Moments. We will select two winners--one for each book. The giveaway contest closes Wednesday, October 7 at 12:00 AM EST. We will announce the winners the same day in the Rafflecopter widget. As one of those people who have never stopped coloring, I'm excited by all the new "adult" designs! It sounds like Shai has put a nice twist on things by combining her clinical knowledge with her artist's heart. I'm looking forward to working with her kaleidoscopic patterns. It was great learning about your new endeavors and I'm telling my anxious friend to check out your book. But I love your journal -- it doesn't seem like "homework". I recently bought an adult coloring book for a friend for her birthday. It was a huge hit! I would enjoy the calming activity of an adult coloring book. Thanks for the chance. This coloring journal looks so relaxing! I absolutely love this idea! I would love to win. I've seen the coloring books at several stores and wanted to buy one. Thanks for the chance to win. I hope I win the adult coloring book. Thanks for the opportunity. I have always enjoyed coloring, and tend to doodle some very creative designs on my own to color. I'm excited to see these new adult coloring books. The designs are so amazing. I loved to color as a little girl, I stopped as I got older but now that I have my own little girl I find myself coloring again and loving it.